RED DEER - Registration is now open for an array of Hockey Alberta camps across the province for a variety of ages and skill levels. Throughout 2019, Hockey Alberta offers Alberta Built camps in the following skill development areas: Small Area Games, Power Edge Pro (PEP), Super Skills, Dynamic Shooting, Developing Defencemen and Goalie Skills. Each camp features Hockey Canada-trained instructors, including Hockey Alberta staff, and WHL/Team Alberta graduates. All Alberta Built camps focus on skills and tactics identified by hockey experts trained by Hockey Canada and Hockey Alberta, in correspondence with the Long Term Player Development Model. Vote for Springbank - Vote for Alberta! The Springbank Rockies are the only Alberta team to qualify as a semi-finalist in the Chevrolet Good Deeds Cup. Help win $100,000 for an Alberta charity. CLICK HERE or on the photo above to watch this incredible 60 second video. Each view equals one vote. Once you click and watch the FULL video, it registers your vote. The entire hockey community is encouraged to get involved... every age group, every team, every association to help win $100,000 for the Nathan O’Brien Children’s Foundation and The Calgary Food Bank. CALGARY - The Springbank Peewee AA Rockies agreed that the team should perform a “good deed” in the community that would bring value to the team and community and inspire others to participate or support the “good deed”. The Rockies took their inspiration from their superhero Nathan O’Brien and The Nathan O’Brien Children’s Foundation support for the Calgary Food Bank. Nathan was a member of the Springbank Rockies Timbit Senators at the time of his tragic death in 2014. This season the AA team proudly wears the Nathan O’Brien Children’s Foundation logo on their helmets and pre-game warm-up gear. The team worked with the Foundation and the O’Brien family to keep Nathan’s spirit alive, make a significant impact in the community, inspire others, and represent Springbank Minor Hockey, the Foundation, and the Calgary Food Bank as proud ambassadors. More than 5,000 bags distributed throughout the Springbank community and collected several days later. Total equivalent of approx. 16,200 meals to Calgarians. The team recognized the significance of its undertaking and realized the opportunity (and need) to inspire the entirety of Springbank’s Peewee division to help fill the trailer. Proudly, EVERY Springbank Peewee team – House league through AA – participated in this year’s Chevrolet Good Deeds Cup competition. The enthusiasm and commitment from the Peewee division was truly amazing, producing results that were equally spectacular. The 53-foot trailer was filled from front to back with almost 17,000 pounds of food and nearly $5,000 was collected - all within one week. In addition, the Peewee AA team gained an appreciation of their Good Deed’s significance when they invested more than three hours at the Calgary Food Bank and witnessed firsthand the need in Calgary. The team and parents received a tour, sorted food into hampers, and learned that there are neighbours in the community who rely on the Calgary Food Bank for groceries - something that is generally taken for granted. RED DEER - Hockey Alberta would like to congratulate the seven officials selected to represent the province on the Road to Red Deer at the 2019 Canada Winter Games. Referees Mason Stewart (Calgary) and Austin Weisgerber (Medicine Hat), and linesman Derek Bandstra (Calgary) will be part of the officiating crew during the male hockey competition in the first week of the Canada Games. For the female hockey competition in week two, referees Cassandra Gregory (Edmonton) and Jessica Trombley (Sherwood Park), and linesmen Megan French (Coaldale) and Kelsey Hagan (Calgary) will all take to the ice to officiate. Earning the opportunity to work at a national event such as the Canada Winter Games is a significant accomplishment in an official’s career, and recognizes dedication, perseverance and commitment towards officiating. The 2019 Canada Winter Games run February 14 - March 3 in Red Deer. Vote for the Springbank Rockies in the Chevrolet Good Deeds Cup! Congratulations to Hockey Calgary’s Springbank Rockies, who are one of 10 semi-finalists selected by Chevrolet in the Good Deeds Cup! Now, it’s up to YouTube viewers across Alberta to help the Rockies reach the final three and have a chance at $100,000 for their designated charity. From now until February 9, all 10 semi-finalist videos are available for viewing at Chevrolet Canada’s YouTube channel at www.youtube.com/user/ChevroletCanada. The three teams that receive the most views will each be eligible to win a Finalist Prize, which includes $2,000 to the team’s designated charity. The three finalist entries then will be reviewed by a judging panel from Chevrolet and Hockey Canada, with a Good Deeds Cup champion selected and announced on February 17. The Good Deeds Cup champion receives a $100,000 cheque for its designated charity, along with prizes for individual team members. More than 300 entries were received from Peewee teams across the country for the Good Deeds Cup. RED DEER – Who has made an impact on you or the sport this season? Nominate that individual or team for one of six Hockey Alberta Awards, presented for outstanding achievements or contributions to amateur hockey in Alberta. Hockey Alberta recognizes the amazing work done by groups and individuals in the game every year through the Hockey Alberta Awards Program. All members of the hockey community in Alberta are encouraged to submit a nomination for a deserving individual or team. There are six awards open for nominations including: Volunteer of the Year, Coach of the Year, Player of the Year, Official of the Year, and Team of the Year. Nominations are also being accepted for the Order of Merit, which recognizes exceptional leadership and distinguished service to amateur hockey in Alberta for 10 years or more. Order of Merit may be presented for Administration, Coaching/ Development, or Officiating. 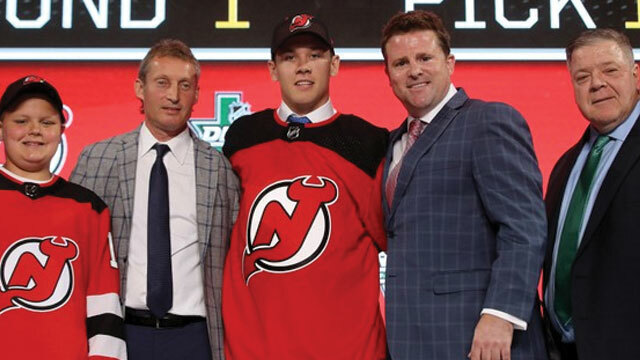 RED DEER - NHL Central Scouting has released its midterm rankings for the 2019 NHL draft, with 16 Albertans on the list. Five Albertans landed in the top 20 of the North American Skater rankings: Kirby Dach, Bowen Byram, Peyton Krebs, Brett Leason and Matthew Robertson. Taylor Gauthier and Matthew Davis were both listed among the top North American goaltenders. RED DEER - Less than a month ahead of the 2019 Canada Winter Games, the Team Alberta U16 Male and U18 Female squads will converge in Red Deer once again this weekend for Team Alberta Staging. As part of the weekend, both teams will play an exhibition game on Saturday, January 19 at the Collicutt Centre. The U18 Female team will hit the ice first at 4:30pm against the Calgary Bantam AAA Royals, with the U16 Male squad to follow at 7:00pm against the Red Deer Midget AAA Optimist Chiefs. Both games are open to the public, and are free to attend. RED DEER - Hockey Alberta is pleased to present the fourth installment of the Western Hockey League’s officiating partnership video series. The partnership will see the production of a series of videos that will be shared with all officials in Alberta and the other Western Branches. This is an exciting opportunity for all officials to learn from some of the best officials in the country. The link to the third video is included below, and you will receive an email from Hockey Alberta each time that a new video is available for viewing. The videos will be uploaded to Hockey Alberta’s YouTube channel, so you can always access them on your computer, tablet or mobile device. CALGARY – The World Under-17 Hockey Challenge will return to Alberta in 2019. For the first time in the 33-year history of the event, the World Under-17 Hockey Challenge – an international showcase of the best young hockey talent in the world – will be co-hosted in a pair of Prairie provinces. Medicine Hat and Swift Current will welcome the event from Nov. 2-9. 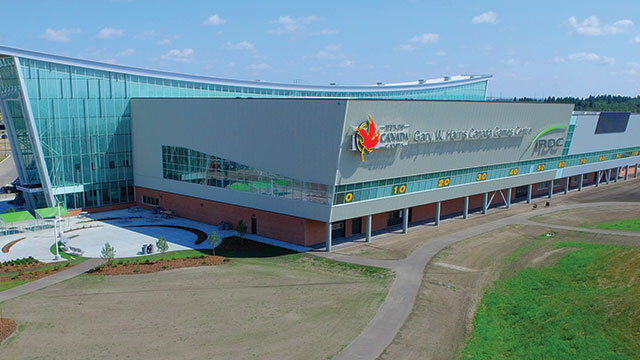 The 7,100-seat Canalta Centre will host teams and fans when the tournament returns to Alberta for the third time; Lethbridge hosted in 2005, and Red Deer in 1997. RED DEER - Registration is now open for 2004 and 2005-born female athletes to participate in one of two regional selection camps for the 2019 Alberta Challenge. The Alberta Challenge runs May 1-5 in Leduc. Registration is limited at each position at each camp. Only Hockey Canada/Hockey Alberta Registered Athletes are eligible to register. If you are unsure in which region you reside, or have any other questions, please contact Taryn Baumgardt at tbaumgardt@hockeyalberta.ca prior to registration. Hockey Alberta is pleased to announce the staff for each team competing in the 2019 Alberta Challenge. A director of operations, coach mentor, head coach, and two assistant coaches were selected for each of the six teams. The Alberta Challenge is held alternating years when the Alberta Winter Games are not held. The Alberta Challenge process begins in March, with players trying out at their respective regional camps. The province is divided into North and South regions, with three teams selected from each region. The six teams compete in the Alberta Challenge tournament in May. Is your Minor Hockey Association looking to grow its membership? The Canadian Tire First Shift is seeking hosts for its sixth season. The initiative, which partners with Bauer Hockey and Hockey Canada, has seen over 620 programs delivered across the country with more than 23,000 kids trying hockey since 2014. The mission is to inspire new families to join our community and enrol their kids in our sport by making hockey accessible, affordable, and most importantly, fun! Canadian Tire First Shift is a six-week program that focuses on having fun and learning basic skills. Full head-to-toe Bauer equipment is included with registration, which is only $199. Interested Minor Hockey Associations can find more information in the attached document or at www.firstshift.ca. RED DEER - Registration is now open for 2006-born male athletes to participate in one of four Regional selection camps for the 2019 Peewee Prospects Cup. The 2019 Peewee Prospects Cup runs May 8-12 in Lethbridge. If you are unsure in which region you reside, or have any other questions, please contact Dustin Moore at dmoore@hockeyalberta.ca prior to registration. Hockey Alberta is pleased to announce the staff for each team competing in the 2019 Peewee Prospects Cup. A director of operations, coach mentor, head coach, and two assistant coaches were selected for each of the eight teams. The Peewee Prospects Cup is the beginning of the Hockey Alberta Development program and will be held in off years of the Alberta Winter Games. The Peewee Prospects Cup provides second-year peewee athletes, coaches, trainers and administrators an opportunity to discover the qualities of competitive hockey in a well-organized regional camp and select team competition. Athletes eligible for the Hockey Alberta Peewee Prospects Cup are male athletes who were born in 2006, and must be registered with a Hockey Canada/Hockey Alberta program. RED DEER - Hockey Alberta’s December Coach of the Month, sponsored by Players Bench Team Apparel, is Cam Church of Irvine. With three children playing minor hockey in Irvine, Cam is the Assistant Coach of both the Initiation SR Bulldogs and Novice Major Bulldogs, as well as the Head Coach of the Atom B Bulldogs. This is his fifth season coaching minor hockey. "Having the opportunity to teach a game I loved as a kid growing up is rewarding, as I get to watch the kids having fun while building character," said Cam. "I’ve learned more about the game of hockey in the last five years of coaching than I’ve learned in the last 35 years of playing." "Cam is encouraging to every player whether they are new to hockey or not, he makes each child feel special and a valued member of the team," said the parent who nominated Cam for the Coach of the Month award. "He is equally fair to every one of them making sure they have fair playing time and equal opportunities to play every position. He is the first one at all practices and games, ensuring he is ready for the event. He is extremely knowledgeable about minor hockey and pushes the importance of practices and fun over games and winning." "I had a number of good coaches throughout the years of playing, coaching is a avenue to give back what was given to me when I was a kid," added Cam. "I feel lucky to be part of a great association in Irvine, we have a great group of coaches, parents and an outstanding facility to play the game." Suit up for the 2019 Global Game! Hockey Alberta, in partnership with Hockey Canada and the International Ice Hockey Federation (IIHF), is hosting the Global Game on the weekend of February 16-17 in Calgary. The Global Game is an IIHF initiative focused on uniting female hockey players across the globe through sport in this one, global continuous game. The Global Game embodies the spirit of enjoyment, teamwork, and collaborating with those from diverse backgrounds. This unique game starts on February 16 and is played in 28 different countries across the globe before being handed off to Canada to play the final segment. A cumulative score is kept across all 28 countries between Team White and Team Blue with a winner being declared after the Canadian portion of the game. The goal is to unite all females currently playing hockey as one global family. Two teams made up of participants from the 10 Hockey Canada branches compete for Team White and Team Blue in the Canadian portion of the Global Game. The participants selected for the Canadian game will be placed on a team with other players from across Canada. As the host province, Alberta has been given the opportunity to select 16 players to participate: 10 forwards, four defense and two goaltenders. Selected participants get the opportunity to spend the weekend in Calgary participating in off-ice sessions, visiting the Hockey Canada Hall of Champions, and listening to guest speakers. Along with these off-ice activities, participants will compete in the Global Game. Applicants must be Bantam age and registered to a Bantam A or B level female hockey team within Alberta for the 2018-2019 season. Accommodation will be covered for the participants selected. If you are interested in participating in the 2019 Global Game weekend festivities, please fill out the application below and submit it to Hockey Alberta by January 22. NOTE: Depending on the hometown, participants may need to travel into Calgary on Friday, February 15. By submitting an application, participants agree to cover the costs associated with their own travel. Meals and accommodations will be taken care of upon check in with Global Game Staff. RED DEER - Registration is now open for 2004-born male athletes to participate in one of three Regional selection camps for the 2019 Alberta Cup. Hockey Alberta is pleased to announce the staff for each team competing in the 2019 Alberta Cup. A director of operations, coach mentor, head coach, two assistant coaches, and one trainer were selected for each of the six teams. RED DEER - With 2018 now in the rear-view mirror, Hockey Alberta looks back on the year that was with some of our favourite moments (in no particular order). A pair of popular participation events served as book-ends for 2018 to highlight hockey development in the province: Alberta Hockey Day and Female Hockey Day. Alberta Hockey Day was celebrated on January 20 in six different communities across Alberta: Brooks, High Level, Paradise Valley, Red Deer, Strathmore and Westlock. Alberta Hockey Day had a special focus on age-appropriate programming at the Initiation and Novice levels. 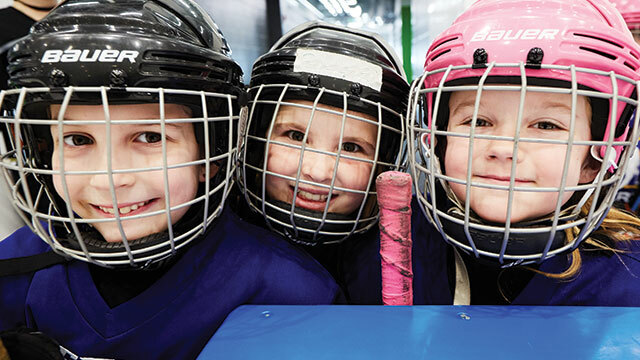 The inaugural Female Hockey Day ran December 15 at the new Gary W. Harris Canada Games Centre in Red Deer, with on and off-ice activities in all areas of the game, including coaching, officiating, and parenting. The day was capped off the the very first Canadian Women’s Hockey League game in Red Deer, as the Calgary Inferno took on the Toronto Furies in a regular season game, which saw more than 600 fans an attendance. 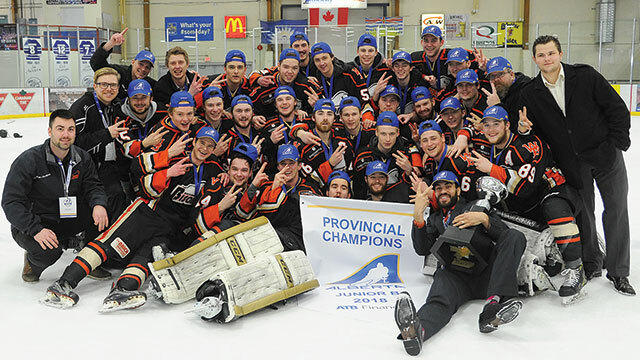 Back-to-back winners and multiple championships highlighted the 2018 Hockey Alberta Provincials, presented by ATB Financial. The Wainwright Bisons (Junior B), Lethbridge Hurricanes (Minor Midget AAA), St. Albert Slash (Midget Female AAA), Calgary Fire White (Bantam Female Elite), Irvine Bulldogs (Peewee D), and Drayton Valley Meter All Stars (Atom A) all repeated as Provincial champions. It was quite the year for Lethbridge Minor Hockey in the Midget category as well. In addition to Minor Midget AAA, the Lethbridge Hurricanes also took home a provincial title in Midget AAA and Midget A. 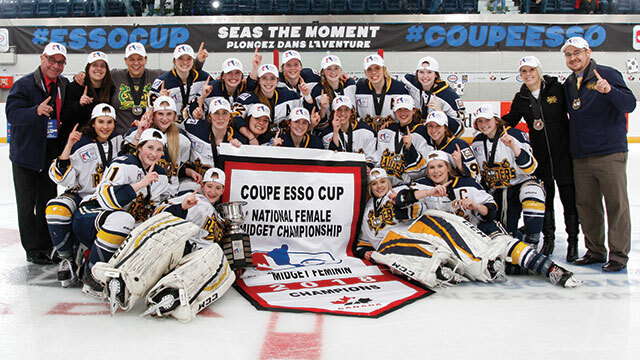 After becoming the first team from Alberta to win the Esso Cup in 2017, the St. Albert Slash of the Alberta Female Hockey League made history again in 2018, becoming the first-ever team to repeat as Esso Cup champions. April 6, 2018 is a date most will never forget. 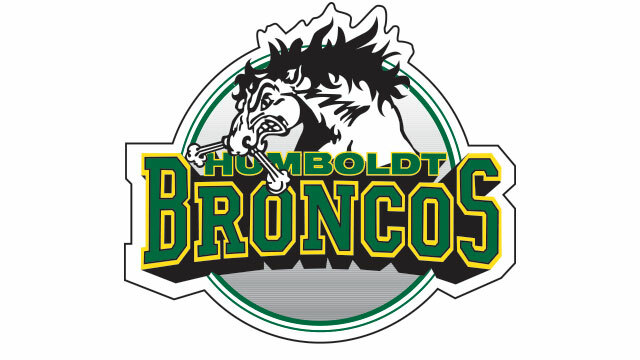 But, in the wake of the unthinkable Humboldt Broncos tragedy, a country came together as one. In addition to a Canadian record-setting $15 million GoFundMe campaign, an outpouring of support came in from across Canada, and beyond. #HumboldtStrong became an immediate movement on social media, as did #JerseysForHumboldt and #PutYourSticksOut, which encouraged Canadians to leave a hockey stick at their front door to honour to victims of the crash. On opening night of the 2018 Alberta Cup, Team Northwest and Team Edmonton Yellow paid tribute to those affected by the tragedy, including four Broncos who previously played in the Alberta Cup. 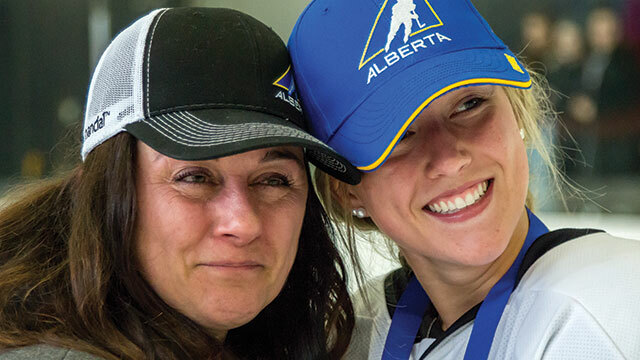 Every year, Alberta sees many of its players and officials take the next step in their career, and earn a number of accolades and recognition. 2018 was no different. 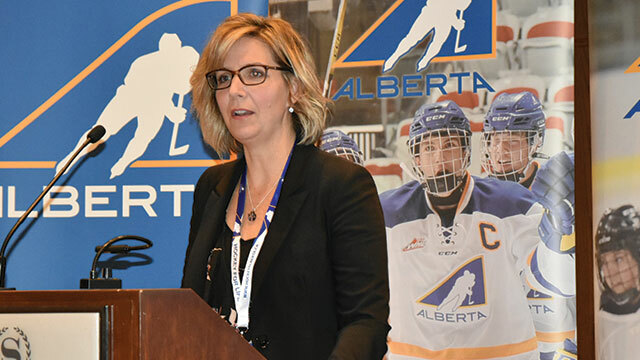 In conjunction with the Centre ICE Summit and the Hlinka/Gretzky Cup, Hockey Alberta offered several events to promote player, coach and officials development in August. For players, in addition to the two-day Summer ICE Jamboree tournament for novice-aged players, Hockey Edmonton hosted a special session for parents to discuss the benefits of half-ice hockey. The weekend also featured the Alberta Built Coach Seminar, a rare opportunity for more than 100 Alberta coaches to hear presentations from Todd McLellan and Glen Gulutzan (Edmonton Oilers); Dr. Paul Dennis (University of Toronto); Dr. John Dunn (University of Alberta); Dr. Stephen Norris (iMobius Ingenuity Inc); and Richard Monette (Active for Life). For officials, the weekend included an on-ice session led by Dave Smith, the NHL Officials Director of Fitness and a classroom session with presentations from Hockey Alberta and the Western Hockey League. 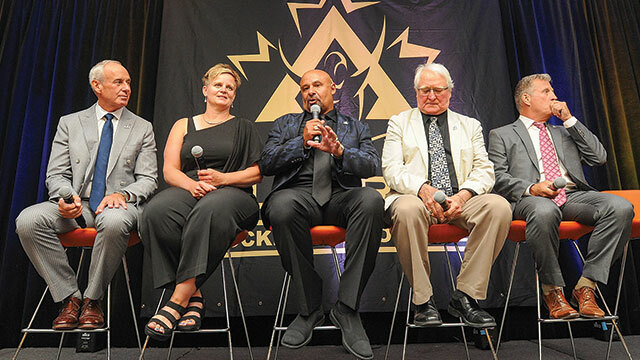 Four outstanding individuals, and two Canada Winter Games gold medal-winning teams comprised the 2018 Induction Class for the Alberta Hockey Hall of Fame (AHHF) in July. 2018 saw many steps taken on the Road to Red Deer, as the Team Alberta U16 Male and U18 Female squads prepared for the 2019 Canada Winter Games in Red Deer. On the male side, the process began with the 2018 Alberta Cup in Spruce Grove, where 80 players were identified and chosen to attend Summer Camp in Camrose in July. From there, a shortlist roster was established, with the final roster announced in December. The Canada Games team got together for three days in December for Christmas Camp, which was highlighted by a pair of exhibition games against the Red Deer Optimist Chiefs and the St. Albert Raiders. For the Female team, 88 athletes were invited to take part in the Team Alberta U18 Spring Camp in Spruce Grove in May. Forty-six of those athletes attended Summer Camp in Camrose in July, with a shortlist roster of 28 players established for September’s Fall Camp in Edmonton. The final roster was announced in December, with the team converging in Red Deer for Christmas Camp, playing exhibition games against the Red Deer Bantam AAA Rebels and the Leduc AAA Oil Kings. Hockey Alberta completed the transition to our new home in the Gary W. Harris Canada Games Centre at Red Deer College. The new offices are located on the second floor of the facility, with boardroom windows overlooking the ice surface. Hockey Alberta was proud to host the first official events on the new ice surface – a Super Skills Camp and Female Development Camp. Hockey Alberta has hosted several coaching and officiating clinics, player development camps, and Female Hockey Day, and will be hosting the 2019 Alberta Cup at the new facility. 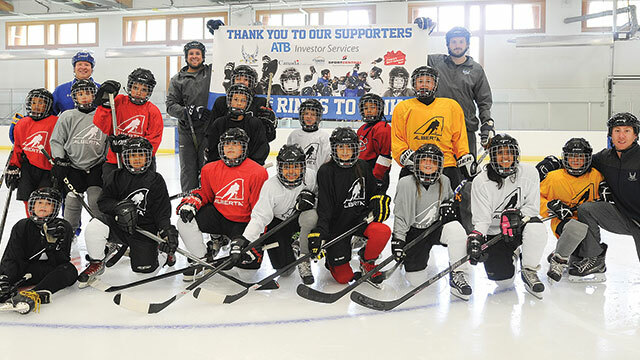 The Hockey Alberta Foundation’s Every Kid Every Community program, aimed at giving all kids across Alberta the chance to play hockey, saw no shortage of support in 2018. To kick off the year, the Piper Creek Optimist Club of Red Deer’s annual Battle of Alberta fundraiser brought in $21,000 for EKEC in January. The Foundation’s annual Golf and Gala events saw another $107,000 come in for the program in July, and the annual Glencross Invitational Charity Roughstock Event raised $190,000 for EKEC, as well as Ronald McDonald House Central Alberta. More than $54,000 was dispersed to organizations across the province, through Player Assistance Grants or Program Grants. As part of the continuing evolution of development for our youngest players, Hockey Alberta unveiled the new Intro to Hockey model for Initiation and Novice divisions. 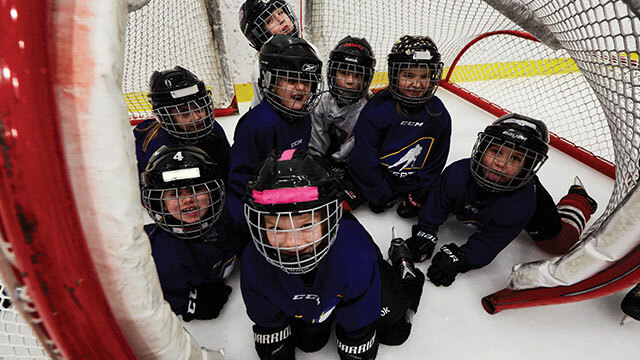 The Intro to Hockey model operates as part of the Hockey Canada mandate that all Novice-aged players receive age-appropriate programming on half-ice surfaces effective for the 2019-20 season. A new Alberta One Standardized Tiering Model was developed and has been in operation for the 2018-19 season. Hockey Calgary, Hockey Edmonton, Central Alberta Hockey League (CAHL), Northern Alberta Interlock, All Peace Hockey League, and North Eastern Alberta Hockey League worked within Hockey Alberta’s Minor Leagues Committee to develop a tiering model that accounts for the size of a minor hockey association, the size of a league, and geographic factors. The model features six tiers within the divisions of Atom, Peewee, Bantam, and Midget. As well, Hockey Alberta is undertaking a trial Provincial Championship Model. The trial will see the Peewee A-D Provincial Championships transition to Peewee Tiers 1-4. 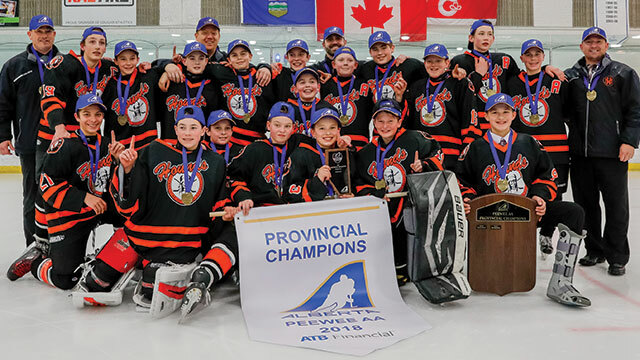 The Peewee Tiers 1-4 Provincial Championship Tournaments will take place March 28-31 with eight teams – six champions from the participating Alberta One leagues/ organizations, one host team and one wild card team. Hockey Alberta’s goal is to ensure all parents, coaches, and families are engaged, educated and supported in all areas of hockey. To achieve that goal, Hockey Alberta has developed a Parent Engagement Guide, and added a Parents component to the website. A key aspect of supporting our athletes is providing resources and support for parents across the province. Parents are encouraged to check the Hockey Alberta website regularly, under the Parents Tab, for links to articles and videos to you support your athlete. January 22, 2019 Be Alberta Built! January 31, 2019 Vote for Springbank - Vote for Alberta! January 27, 2019 Vote for the Springbank Rockies in the Chevrolet Good Deeds Cup! January 15, 2019 Welcome new-to-hockey families into your Minor Hockey Association! January 10, 2019 Suit up for the 2019 Global Game!